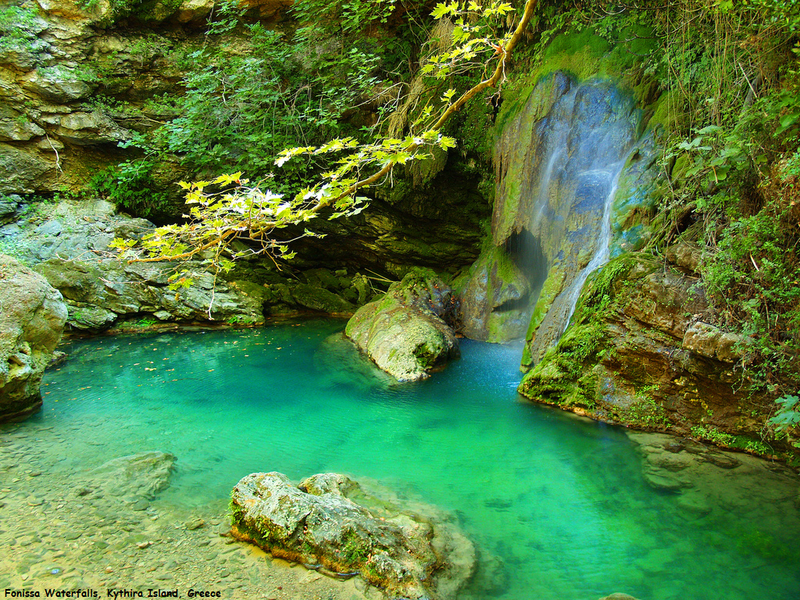 Kythira is one of the few islands where you will find waterfalls! It is an enchanting scenery with the water pouring down from a 20 meter height with the huge green platanus trees as a background image. If you are tempted to take a swim in the green water you should know that even during the summer, the water is frozen. A bit down the road from the Fonissa waterfall, which is also called Fairytale waterfall, there is another surprise waiting for you: the 20 watermills that were once used for milling are now deserted. The waterfalls are in the area of Mylopotamos. you can swim if you wish to.